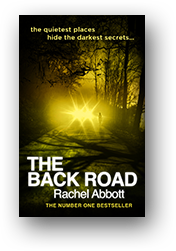 I've just been reading Rachel Abbott's new thriller The Back Road, and I'm very impressed by it. I'm also curious to know what's behind an Indie best-seller. Rachel works very hard and is very professional and I'm anxious to learn as much as possible. 1. Rachel, I know that - like me - you spend quite a lot of your working life in Italy. Do you find it disruptive going to and fro? How do you find the atmosphere of Italy affects your ability to work? What are the drawbacks, from a research point of view, of being in one place and writing about another? When we found our home in Italy we were really fortunate because from the day we saw it – a total ruin without a roof, and in some places not even walls – we felt that there was a special atmosphere about the place. It was peaceful, because it’s in the middle of the country, but there was a real feeling of serenity about it. I‘m probably being a fanciful writer, but that’s how it seemed to us. When I arrive there, I instantly relax, and however hard I’m working, it feels stress free. We have a home in Alderney in the Channel Islands too, and I’ve been spending most of my time there, so there hasn’t been too much disruptive travelling for me – just for my husband - and as part of my next book will be based here on the island, that’s a real advantage. I didn’t really have an issue writing Only the Innocent, because the locations were all places I know – London, Oxford – where I lived for a while – and several Italian locations. So that was fine. With The Back Road the location is a Cheshire village – and I have lived in a village too (although not in Cheshire). I do think that to evoke the atmosphere of a place you have to have experienced it, and I’m really looking forward to writing the Channel Islands sections of my next book, because without a doubt you could not write about Alderney without ever experiencing it. Another totally unique place. 2. I find the atmosphere of place very strong in your novels. I know those villages - I've met those people. How do you get that atmosphere? I am a bit fanatical about planning when I write. By the time I put pen to paper, figuratively speaking, I know exactly how every place looks. Take Ellie’s house in The Back Road, for example. I can actually see every detail of it in my head. I grab images of the internet and I paste them into my locations file. I have images of Ellie’s kitchen, atrium dining room, the outside of the house. So when I write, I’m writing about places that I know as well as my own home. Even for the dinner party in The Back Road, I have a seating plan. I need to know who has to lean across somebody else to speak to another person. When I write about a village, I work out where the shops are, and get photos of villages if I don’t already have a visual image. With regard to the people, obviously the main characters are very fully worked out before I start to write, but some of them do evolve. Leo, in The Back Road ended up taking a much more prominent position than she originally had, because I just love her. When it comes to the villagers, though, these are people that I’ve really met. I don’t mean that each of them is modelled on a specific person, but there are characteristics that I have picked up and used. I observe people all the time (probably quite spookily) and love it when I see an interesting quirk that I can add to a character. 3. Do you ever envisage writing something set in Italy? There were a few bits in Only the Innocent that took place in Italy – Venice, Positano and Le Marche – but one or two people have suggested I should do a complete novel based there. If Tom Douglas is still involved, as he definitely is in my next book, I would have to think of some reason for him going there, but I don’t think that would be very difficult. It would be hard to resist making it a comedy, though. When we bought our first house in Italy thirteen years ago, we chose an area where there were practically no other English people, and it was one hundred per cent Italian in attitude and behaviour. We found so many things to make us smile - in a very affectionate way. On our first day there we took the project manager who was organising the restoration of our property into the nearby town (a beautiful medieval walled village, actually), and he showed us where to park the car – right underneath a tow sign. I pointed to it and he just shrugged and said, “It’s lunchtime. The police will be eating then sleeping. It’s okay” and that really set the tone. I started to jot all these little quirks and amusing moments in a notebook with the thought of writing them into a novel - but I think I am more naturally inclined towards murder! 4. Where did the idea for The Back Road come from? Have you ever been to a dinner party and got the feeling that there were things going on that you didn’t quite understand? Perhaps you saw a look pass between two people that you couldn’t exactly read? I wanted to write about ordinary people – some of whom have secrets. They may not necessarily be huge, life changing acts of deception, but if discovered they would have an impact on lives. I wondered what would happen if some explosive catalyst was thrown into the mix, so that all the deceit is uncovered in a way that nobody can prevent or control. 5. I love the way you get food into the story (it's what I love about the Montalbano novels) - is this something you personally care about? I love food. I enjoy cooking, and The Back Road did start off with even more cooking in, until my editor said it was a bit over the top! I wrote a scene in which Leo is in the supermarket with Ellie and they are buying some raw prawns, which Leo sees as grey slimy looking things until Ellie says she’s going to marinate them in lemon and garlic, barbecue them and then throw them into a salad with some avocado, feta cheese and a herb dressing. That got cut, unfortunately. I think that for people who love food, it gives a much better feeling for the occasion. We could have had the dinner party in The Back Road without any mention of what everybody ate, but as a reader that wouldn’t have been the same for me at all. I’ve put quite a few of the recipes on my website too – and they’re all tried and tested – most of them were actually made up by me in the first place. 6. As someone who is both traditionally published and self-published, I'm interested in your views on having a foot in both camps. 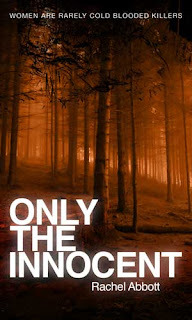 After the success of Only the Innocent - which I'm sure is going to be repeated with The Back Road - how do you feel about self-publishing now? I think both forms of publishing have their advantages and disadvantages. With self-publishing there is a real sense of control, which is great. I can check my sales figures every two minutes if I want to (which I don’t, by the way) and I can choose the cover, control the blurb, and so on. The bad thing about self-publishing is that many people actually can’t afford to have a professional editor. I couldn’t when I wrote Only the Innocent, and it was a success without that. But as soon as I had an agent after the success, she found me an editor and we did a thorough job of updating the book – and dramatically improving it. With a traditional deal, that would have happened before publication. I feel that for The Back Road I have the best of both worlds. It has been professionally edited, which once again made a difference, but I chose to self-publish mainly because of the timing. I didn’t want to have to wait another six months to publish in the UK. The marketing side scared me a little, though, because I know that after Only the Innocent was launched, I did nothing but marketing for three months. 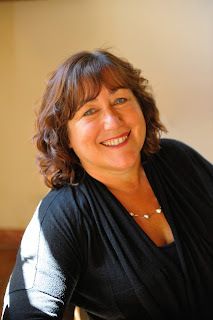 I don’t want to do that again – I want to write books! One of the most significant advantages of a traditional publisher is their ability to do the marketing of the book – although I know that it isn’t always the case. With the Thomas and Mercer deal in the US, they do all the marketing, and it’s a huge weight of my shoulders – leaving me free to write. 6. Just how much do you think your own awareness of media systems and your cyber-knowledge contribute to your success? 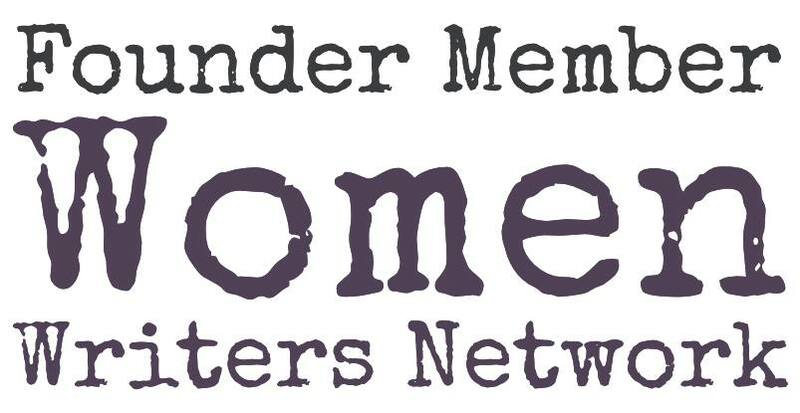 Do you have any advice on using social media for new authors? To be honest, I didn’t have any social media following at all when I launched Only the Innocent. I had set up a Twitter account, and had a stunning nine followers, and a Facebook page that I never used. However, I do have a background in web development and in my previous job marketing was really important. This experience helped me to think more strategically about how to approach the whole social media arena. My one piece of advice would be to write a marketing plan – create your own strategy. I bang on about this all the time on my blog, but it is so very easy to just plug away at something that isn’t helping at all, and writing a strategy helps you to think things through properly and justify how you spend your time. For example, you may have a Twitter strategy that says you want to increase your following to 10,000. The questions I would ask are “Why?” and “Who?” because you need to understand why you think having a lot of followers is going to help you, and you need to decide who they are going to be. There are sites that offer lots of followers – but as a writer, you need followers who read books – and specifically your kind of book. So you have to work out how to get those, and then how you’re going to engage them. I’m learning all the time – and changing and tweaking my plan. But every marketing action that I take has a clear purpose, as defined in my plan. 7. Finally - who are your favourite thriller writers? I love Harlan Coben (not the Myron Bollitar books – although they’re quite good fun). 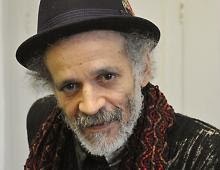 What I like about his stand alone books is that they are usually told from the point of view of the victim, rather than the police, and the story lines are very unique. I also loved the early Minette Walters and Mary Higgins Clark books. I love books where I can empathise with the protagonist, and if they’re well written, I can feel what they are feeling – even if that’s fear. I have also been a big Val McDermid fan over the years and I thought Gillian Flynn’s Gone Girl was well written and absorbing, although I didn’t actually like the characters. But, I will certainly read more of her books. Thanks for your time Rachel - I loved the book and hope it's a great success! And you can look at her website here. Fascinating. I have to read it now! Very interested in the care for a sense of place and the need to have experienced it, something which I have always believed and am now, in another project, having to learn all over again. Indispensable to any serious narrative. I liked and broadly agree with the list of crime writers, but I would add Anne Cleeves to the list. The TV Vera and Perez are fine in their TV-adaptation way but the books have a real edge to them, are page-turning and beautifully written. Thank you Kathy and Rachel for a really fascinating interview!